ATLANTA - Feb. 6, 2019 - PRLog -- The hottest rising stars in Hip Hop have become a big deal at GI Records. The company is highlighting the best new stars in the world of Hip Hop and has already garnered an extensive assortment of hot stars, including top R&B singer Arnita Simone. GI Records is representing artists in the world of Hip Hop and R&B and wants to place their music in various television programs, films, advertisements, and other points. The group is looking to bring publishing deals to some of the top names in the field. The styles that are offered will make for some of the most exciting things that people can check out in today's music world. One of the hottest names to see through GI Records is Arnita Simone, who is promoting her new single "One Final Time." The R&B singer sings this song about living with a twin flame relationship where she feels loved but soon discovers she's being used. The song is about how she can't take much out of people who aren't going to love her and appreciate her truly. The style of Arnita Simone fits in perfectly with what GI Records has to offer. Her work includes a soulful approach with a great edge to it. The style of her work has made Simone one of the top figures to watch for. Simone is just one of the many people who are available for touring and licensing through GI Records. A&R man and ASCAP member Andrew "Drew" Knibbs wants people to explore various opportunities for getting their music out there and to make their work more attractive. Arnita Simone's work and her latest single "One Final Time" are available for people to check out as they look for entertaining ways to have fun. Details on what people can expect to find through GI Records can be found at their website link below this release. The site is regularly updated with details on the latest artists on the label. People can also visit the GI Records website to schedule tour dates for the various artists on the label. Videos of these artists performing can be found on the site. 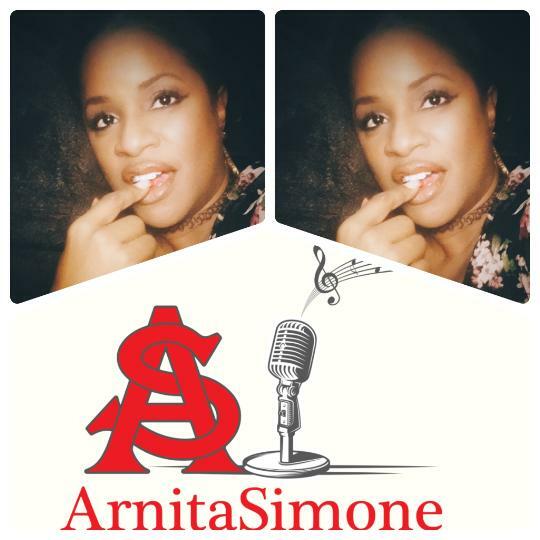 Be sure to follow Arnita Simone on social media, and preview her single "One Final Time", available on all digital download and streaming platforms worldwide, and please leave a comment about the single. "One Final Time" can be heard on Party Train Radio station with more to come. Links for the artist and radio stations is available below. There is more in store for all music lovers from Arnita Simone.